Add some protection from the elements to your party! 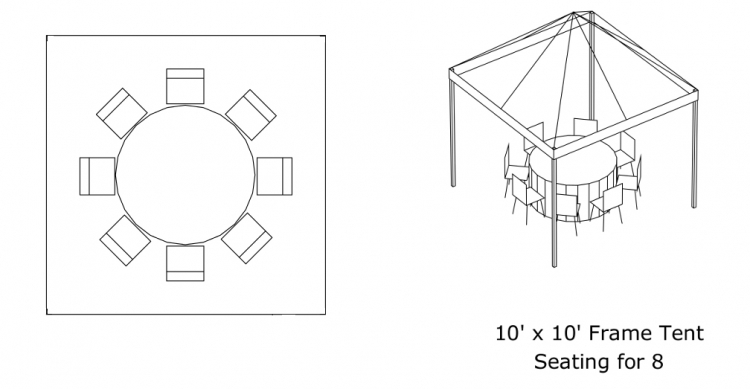 Charlotte Party Rentals 10×10 Tent has 100 square feet of canopy coverage with a comfortable seating capacity of 6-10. We’ve got you covered perfect for a booth, table arrangement, or any other event in need of a little overhead coverage. If you are interested in this tent please contact us today! Space Measurement: 100 sq. ft.